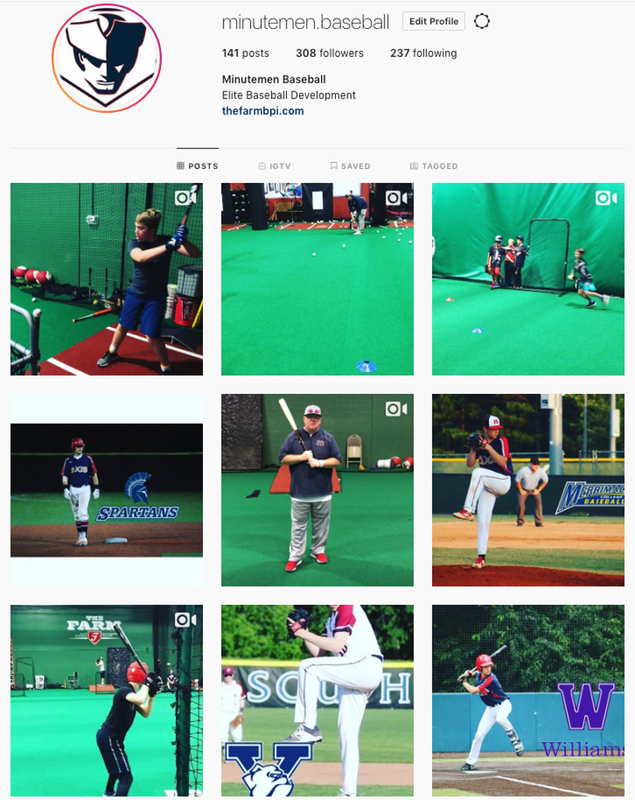 The Farm Baseball Performance Institute (The Farm) is a multi-disciplinary baseball skill development facility that builds the complete baseball athlete, incorporating the latest technologies with the most progressive and modern bio-mechanical philosophies in the game. Every Farm instructor and performance coach has a minimum of 5 years of instructional experience, in addition to extensive coaching and playing resumes. In accordance with our principles of bio-mechanical baseball training, all Farm instructors also possess a fundamental understanding of human kinetics and body force generation. Our Minutemen Baseball 11 Navy team had no trouble on offense today, winning big over Team Mizuno USA 14-3 in Game 1 and 19-2 in Game 2. In Game 1, 11 Navy got on the board in the first inning when Marcus Post doubled, scoring one run. In the 4th inning, they continued their offensive attack by scoring four runs in the fourth inning. The offensive was led by Rocky Vankoski, Max Re, and EJ LaValle, all sending runners across the plate with RBIs in the inning. All in all, 11 Navy collected 13 hits in Game 1. Daniel Grapski earned the win, going two and two-thirds innings, allowing one run on three hits, and striking out four. Hugh Bolinger and EJ LaValle entered the game out of the bullpen and helped to close out the game in relief. In Game 2, Max Re was clutch at the plate with runners on base, driving in four on three hits to lead Minutemen 11U past Team Mizuno USA 19-12. Max drove in runs on a double in the first, a single in the second, a single in the fourth, and a walk in the fifth. Quincy was credited with the victory, he lasted two and two-thirds innings, allowing seven hits and seven runs (two earned) while striking out two. Rocky, Quincy, Max, and Marcus each managed multiple hits. 11 Navy is back in action this Saturday, April 20th vs. EITC in Chicopee at 10 am and 12 pm, respectively. After losing 18-7 in Game 1 to Northeast Longhorns Black due to numerous errors, our Minutemen Baseball 13 Red team battled back to earn a split of the doubleheader - winning Game 2 13-9. Will Bernstein had a clutch double that drove in two runs as well as a single earlier in the game that brought in 1 run -- in total, Will went 3 for 3 with a walk and 3 RBi's. Will Everett started Game 2 and threw 3 innings -- Jaden Caruso stepped up and threw the remaining 4 innings out of out the bullpen, shutting the Northeast Longhorns offense down with some huge strikeouts during his outing. Will Everett broke out of a small slump to start the season with an RBI double and an RBI single to add some insurance runs to secure the win. Minutemen 13 Red returns to action this Saturday, April 20th vs. Plympton Crush Black. The Minutemen Baseball 12 Navy (DII) team started their 2019 season this past weekend with a doubleheader in Northborough, MA to take on the Mizuno NE Roadrunners. 12 Navy got a strong start by newcomer, Justin MacCormack who went three innings, giving up 5 hits, 4 runs (2 earned) and six strikeouts. Unfortunately, our defense fell apart in the 5th inning and the Minutemen dropped their first game 15-8. The team rebounded in Game 2, winning by a score of 7-5. Longtime Minutemen player, Emilio Berndt got the win by pitching 4-innings, giving up 2 hits, 3 runs (2 earned) and 2 strikeouts. Offensively, Cooper Tarlie led the attack with two triples, two runs scored and 2 RBI's. On Sunday, April 7th - Minutemen 12 Navy hosted the Westford Junior Ghosts Prospects at Bentley University. The Minutemen swept the doubleheader by a combined score of 33-5. Cooper Tarlie and Cal Hale handled the pitching with a combined stat line of 7 1/3 IP, 5 hits, 5 runs (4 earned), 7 strikeouts. Offensively, everyone on the team had at least one hit, with Keenan Sawada pacing the offense -- he collected 4 hits in 5 at-bats with 5 runs scored, 1 walk and 1 RBI as the leadoff hitter. 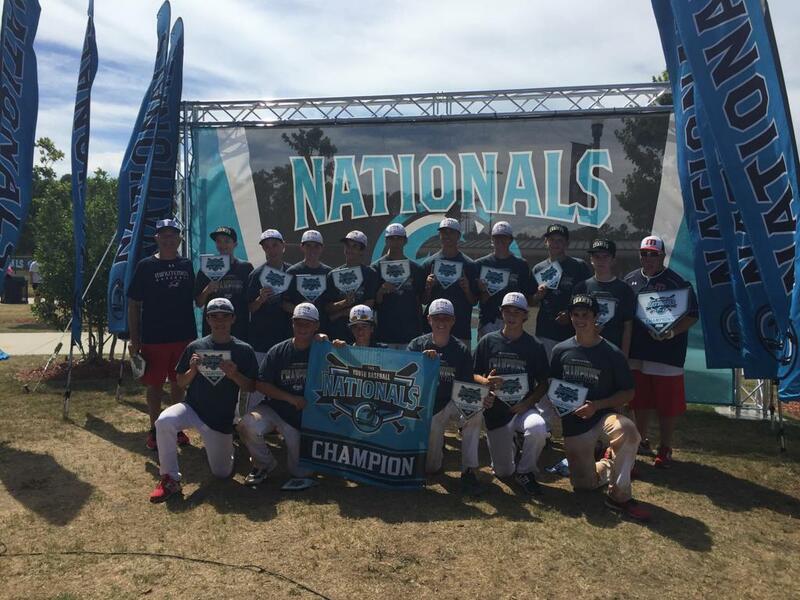 12 Navy is back in action this weekend as they host Freedom Baseball Red on Saturday morning and Rivals Navy on Sunday afternoon at Bentley University. The Minutemen Baseball program kicked off the 2019 campaign this past weekend (April 6th & 7th) and was greeted with sunshine and 65-degree weather both days! Our Minutemen 11 Navy team (DIA) on Saturday, April 6th traveled down to Lakeville, MA to take on the Giants Futures 11u squad. Our 11s walked off with the 6-5 victory in Game 1 and followed that up with a Game 2 victory (7-5). On Sunday, April 7th -- the Minutemen hosted Fury Baseball at Bentley University, unfortunately, we were outgunned and dropped both games of the doubleheader 12-1 and 12-2, respectively. Pitching performance of the weekend goes to Jason Grapski who had 6 strikeouts in 3 innings of work on Saturday including the save in game 2. Rocky Vankowski was the offensive standout this weekend reaching base in 9 out of 10 plate appearances on Saturday and Sunday. 11 Navy travels to play Plympton Crush White on Saturday afternoon in Wrentham. On Sunday, they also travel down to Pembroke for an early morning doubleheader beginning at 8 am. We're excited to announce our new partnership with College Coach®, the leading provider in educational advising. As the parent of a high school student-athlete, you’re likely thinking about college and trying to plan for this next phase, setting your student up for admissions success, and figuring out how to pay for it all. College Coach can help. Their expert advisors — all former senior admissions and college finance officers from some of the most selective colleges in the country — can guide your family through the college admissions process. We will be hosting another event this spring to learn more about college planning for your student athlete! Click here to learn more about our partnership with College Coach! EJ LaValle of our 11 Navy team featured on MLB Network! 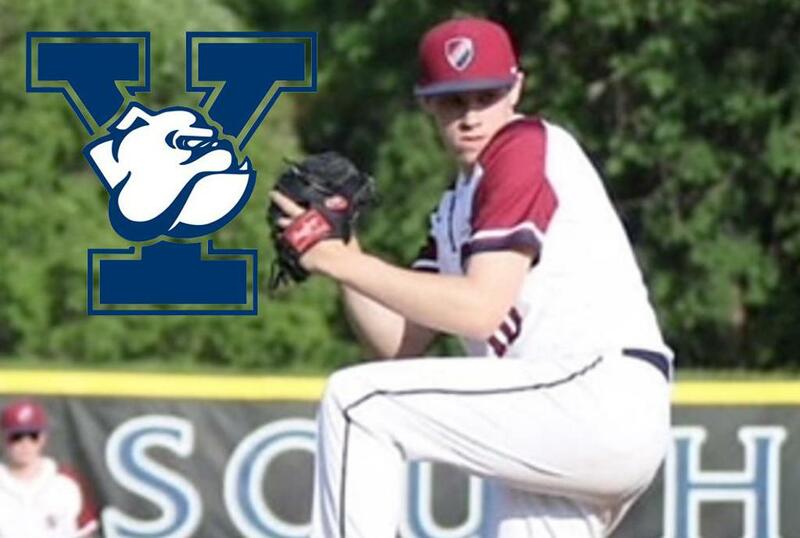 JOSH RICHARDSON COMMITS TO YALE UNIVERSITY! 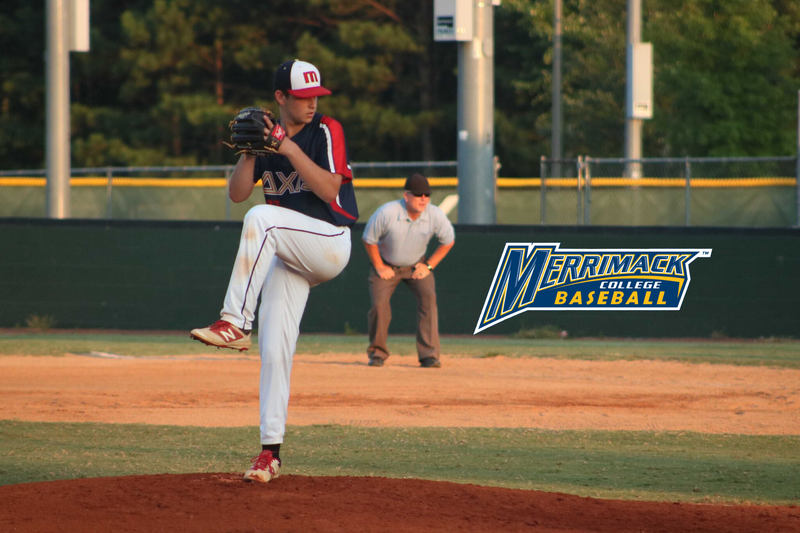 JUSTIN BUTERA HAS COMMITTED TO MERRIMACK COLLEGE! 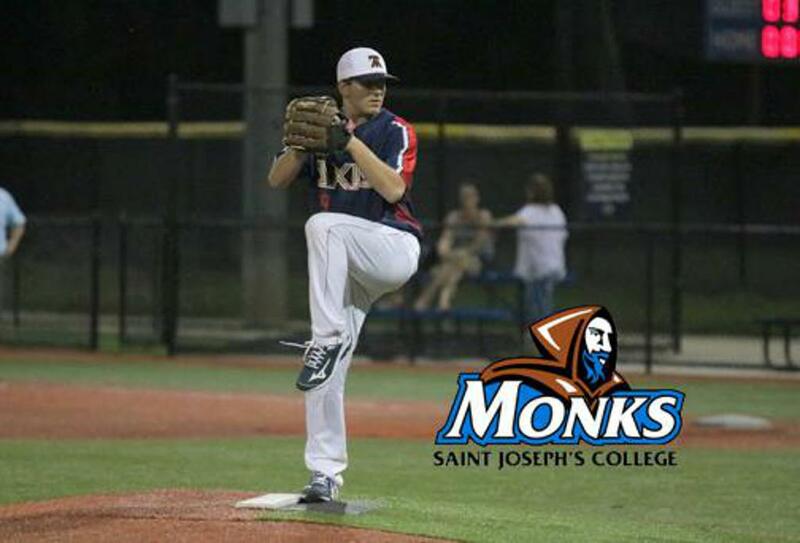 NICK LESANTO COMMITS TO SAINT JOSEPH'S COLLEGE OF MAINE! 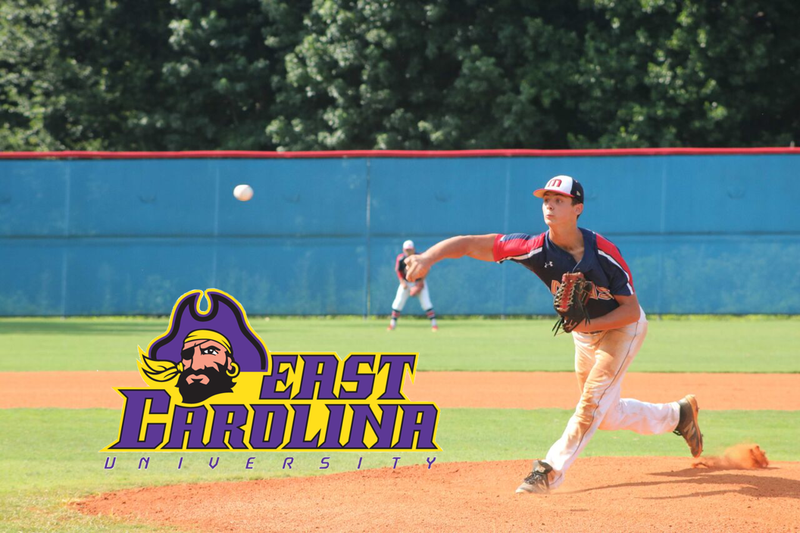 KENNY SCHECHTER COMMITS TO EAST CAROLINA UNIVERSITY! 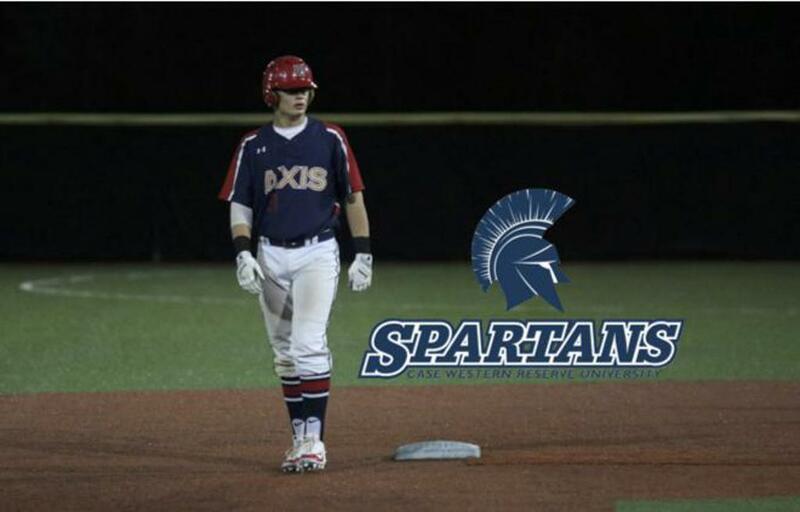 KEVIN MACKENZIE COMMITS TO CASE WESTERN UNIVERSITY! 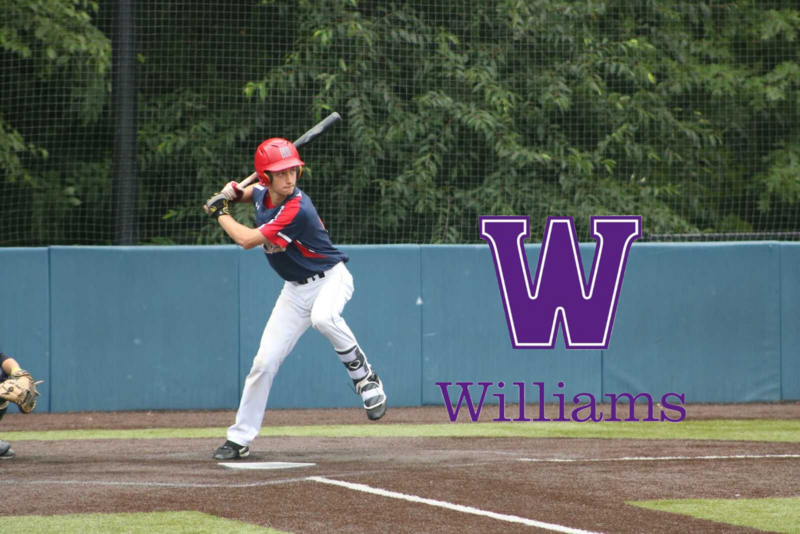 COLE WHITEHOUSE COMMITS TO WILLIAMS COLLEGE! Check out the entire list of College Commitments from The Farm Baseball Performance Institute from years past in our College Commitments page! ©2019 The Farm - Elite Baseball Training and Minutemen Baseball Travel Teams - Boston / Waltham MA / SportsEngine. All Rights Reserved.